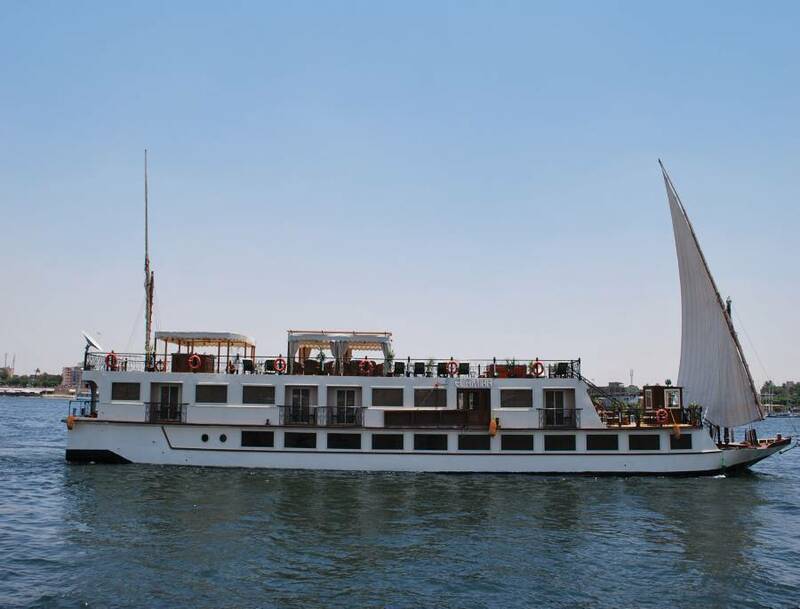 It was launched in September 1st , 2008 and offers a cruise experience like no other on the Nile. 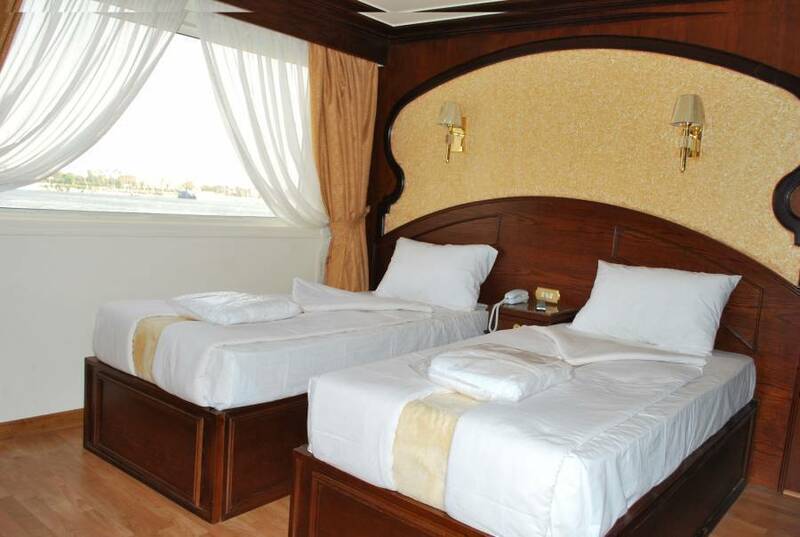 It is a small and luxurious cruise boat with comfort offering a spectacular opportunity for an extended family or small groups to discover Egypt on a private cruise. 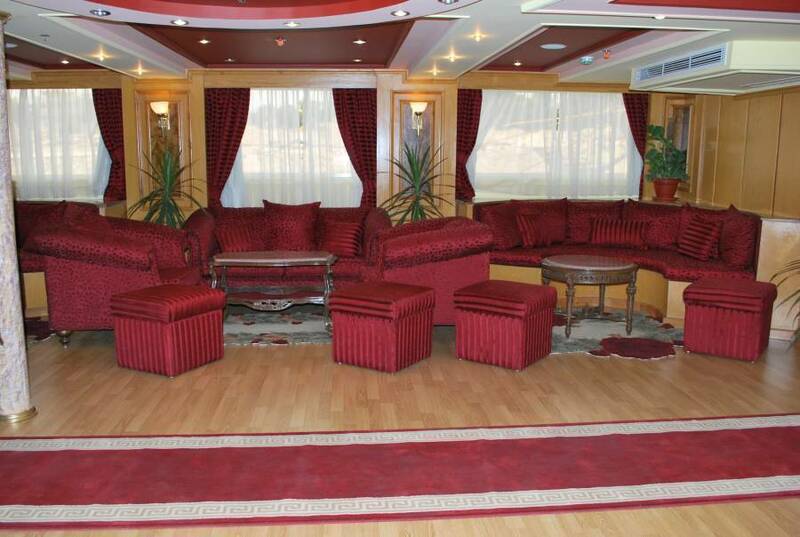 There are 14 luxury cabins, 18 m², well furnished up to the 5 stars deluxe , available with teak interior and parquet floors. A comfortable Salon is available to provide you with a relaxing sitting with our soft music. 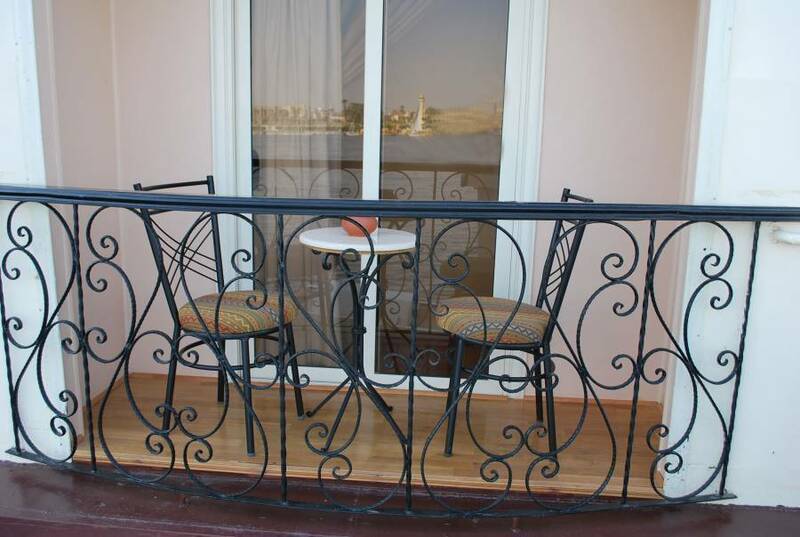 On the spacious sundeck you will find an open air oriental-style Jacuzzi and a bar in the center. 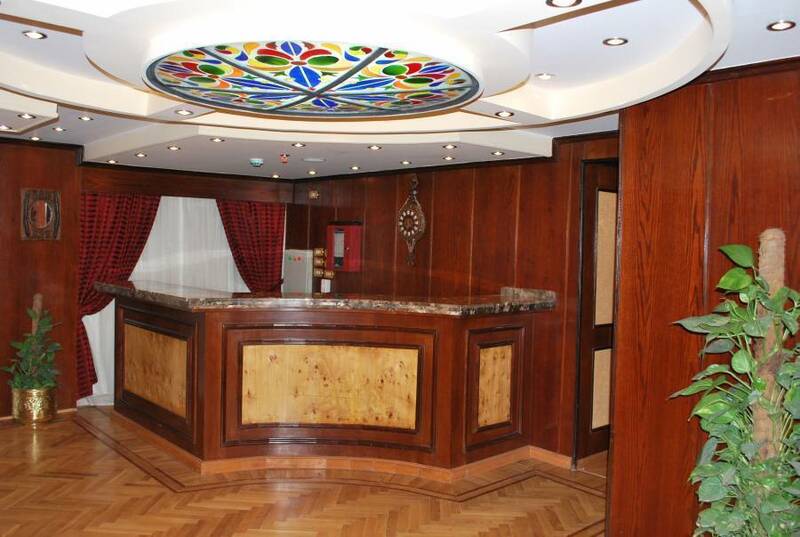 There is also a restaurant and an exclusive lounge bar available. All cabins feature panoramic windows, private direct-dial telephones, individual climate control, hairdryers, mini-bar, safe deposit boxes, plasma televisions with movie channels, bathroom with full amenities, and a private terrace. Daily guided excursions will take the guests to the highlights along the Nile, to visit the famous sightseeing's of Upper Egypt, like Karnak Temple, Luxor Temple, Valley of the Kings, Edfu Temple, Esna Temple, Kom Ombo Temple, the twin temples of Abu Simble and the Philae Temple. 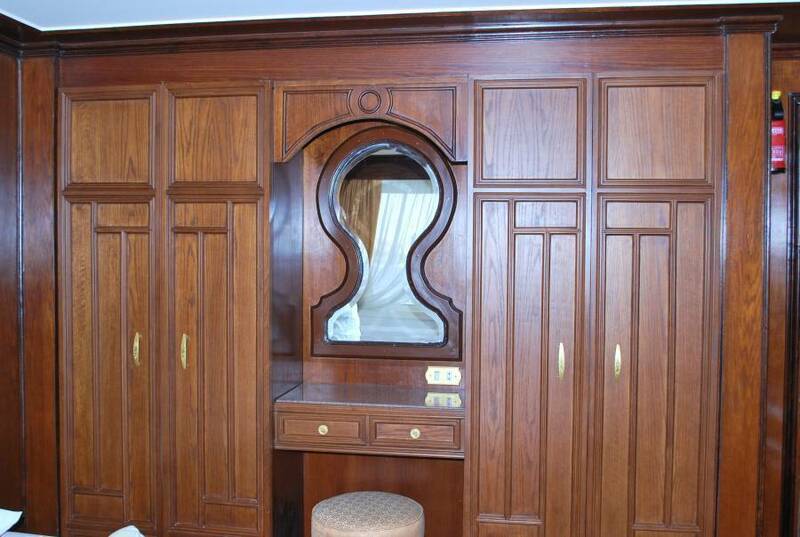 All cabins feature panoramic windows, private direct-dial telephones, individual climate control, hairdryers, mini-bar, safe deposit boxes, plasma televisions with movie channels, bathroom with full amenities, and a private terrace.